The library has automatic doors and a hearing loop is installed. For further information, please see library services for people with disabilities. 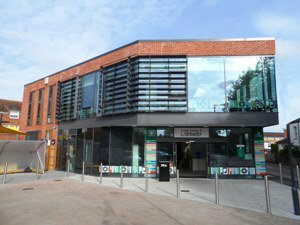 Cobham Library has four car park spaces and one disabled space. These are available for 1 hour with no return. There is a pay and display car park opposite next to the Methodist Church. Pedestrian access from the High Street is via Hogshill Lane, next to the Post Sorting Office.